I am concerned that this new stop sign does not meet the claimed warrants and therefore needlessly inconveniences road users, increases risk of undeserved traffic tickets, and created a hazardous situation. This intersection only has two left turn conflicts: northbound White Rock Rd. turning left on westbound White Rock Rd. and southbound West Lawther Rd. turning left on southbound White Rock Rd. 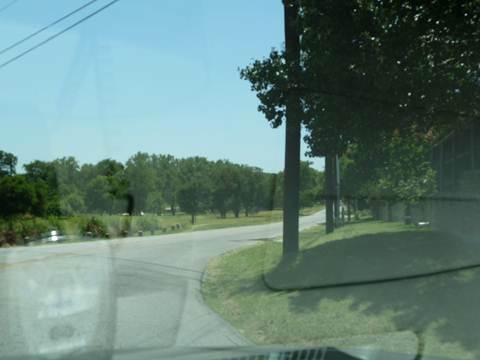 There is no visibility problem for either left turn. 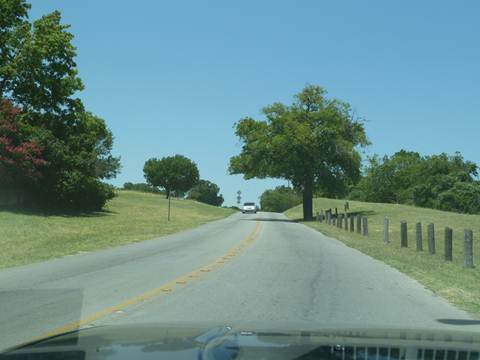 There is plenty of unobstructed sight to make a safe turn. Southbound W. Lawther left turn to southbound White Rock Road also has acceptable geometrics to facilitate safe left turns. Traffic heading north, emerging from the park, will be going slowly. It will have just passed through a narrow railroad underpass, made a tight 90 degree turn, and will be slowing for a stop sign. Excellent visibility. Further note that eastbound cars may be approaching at less than the 30 mph speed limit. They will have just approached from an all-way stop at White Rock Rd. and Winsted Rd. Additionally, the traffic will be slowing for the sharp curve anyway; a 25 mph advisory speed is posted for eastbound traffic around the curve. 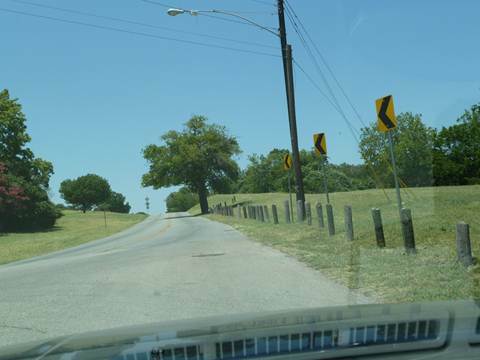 Note that I was actually stopped a few feet pastthe stop sign; had I been stopped with the front of my car at the sign, as required by law, I would have even worse view of oncoming traffic. Additionally, eastbound traffic approaching on White Rock Rd. now has a worse view of southbound W. Lawther traffic. Below is a picture I took approaching on eastbound White Rock Rd. ; the white car has already completely passed the stop sign before it became visible to me. 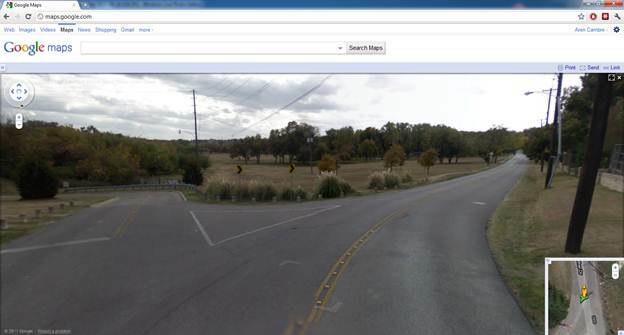 Normally, this is roughly where rational motorists would stop before taking a left turn. The stop sign pushed this point further back. 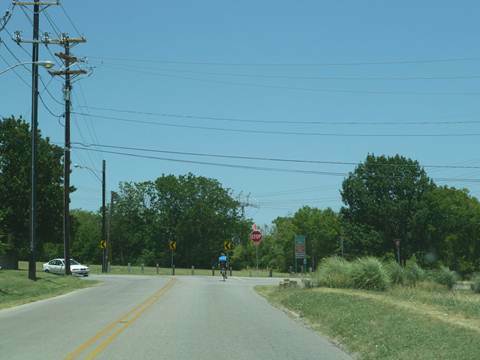 Left-turning southbound W. Lawther traffic used to only have to monitor one direction: eastbound White Rock Trail traffic. Thanks to the all way stop, southbound W. Lawther traffic has to negotiate both directions as all directions have equal right of way. This ambiguity causes confusion, which causes crashes. Your own field observation confirms the absence of a traffic volume problem. In 30 minutes, you recorded 74 vehicles pass through the formerly uncontrolled part of the intersection (vehicles coming from EB White Rock Rd. or SB W. Lawther). That means the mere 9 cars approaching the intersection from the park have, on average, 24 seconds between potentially conflicting vehicles. Clearly, there is no problem here with traffic volumes. The second warrant is whether there is a need to control vehicle/pedestrian conflicts near locations that generate high pedestrian volumes. Again, this warrant is unmet. 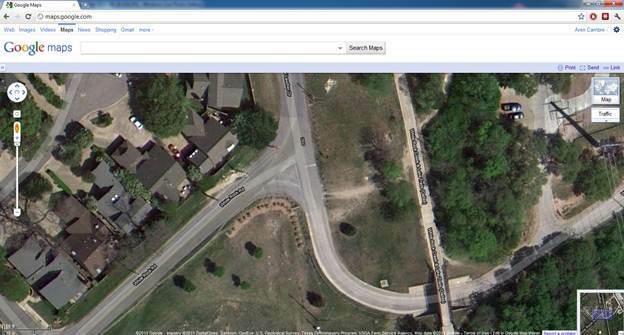 In other pictures in this document, you’ll find no additional evidence of pedestrian usage of the intersection. The only pedestrian traffic is heading west from the elevated trail (old railroad right of way), heading west to cross White Rock Rd. a few car lengths south of the intersection, then continuing west along the south side of White Rock Rd. On top of that, there’s not even a valid reason for pedestrians to cross the intersection—the other side only has the fenced backs of houses, and safer crossing points exist within less than a minute of walking in either direction. Given that the in-intersection pedestrian traffic is minimal, possibly nonexistent, and that there is no compelling reason for pedestrians to cross the road in the intersection, and safe alternative crossings are a brief walk away, if in-intersection pedestrian traffic is even considered a problem, it would be better to just ban pedestrian crossings at the intersection. 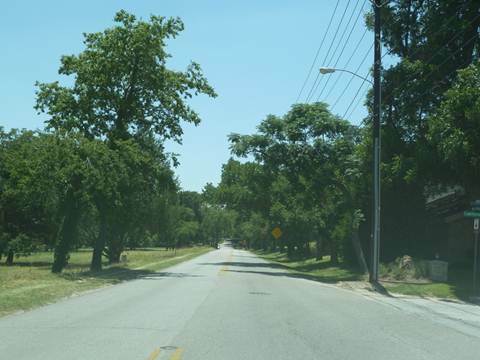 The third warrant asks whether there is a visual obstruction that will prevent safe vehicle movement unless conflicting directions are required to stop. 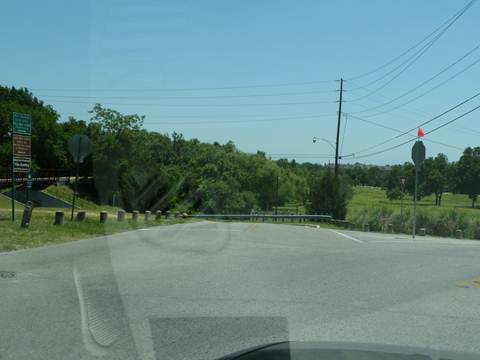 As clearly demonstrated above, the only visual obstructions were created by the all way stop. 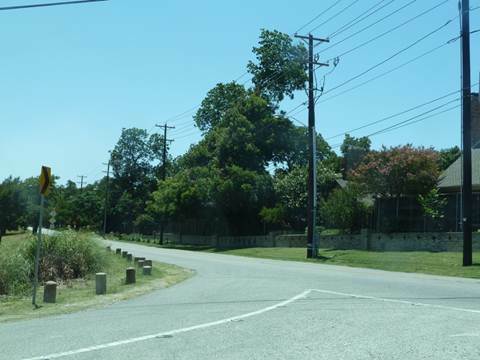 To conclude, the all way stop sign at White Rock Rd. and W. Lawther Rd. meets no warrants, and it makes the intersection less safe. I respectfully ask that you revert the intersection to its prior state, where only northbound White Rock Road, emerging from the park, had a stop sign. 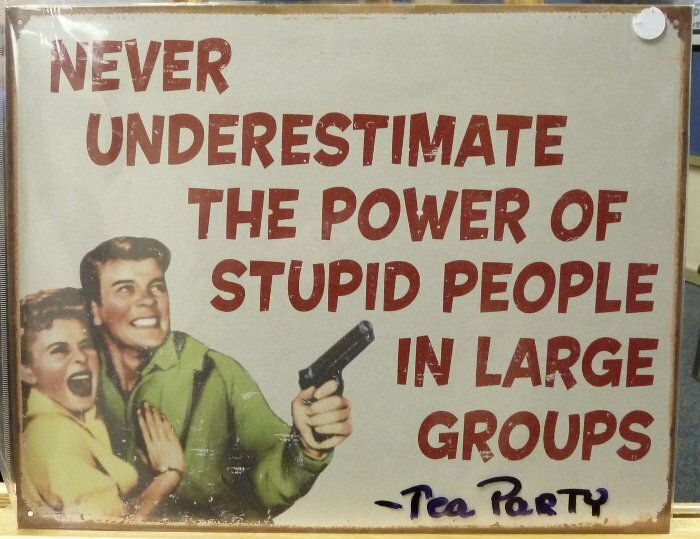 This is a great example of the stupidity of a lot of the Texas Republican Platform. We oppose any constitutional convention to rewrite the United States Constitution. We demand the Legislature rescind its 1977 call for such a convention. We call upon other states to rescind their votes for such a convention. This is Eagle Forum-style, nut job paranoia. They fear that a 31 year old concurrent resolution, calling for a balanced spending amendment, can somehow result in a runaway constitutional convention and rewrite the US Constitution. No kidding. They really believe this. Here’s the 31 year old resolutions: HCR 31, Regular Session, and HCR 13, 2nd Called Session. Now here’s the irony: the current (82nd) Senate did almost they same thing: they called for a constitutional convention for a balanced budget amendment. 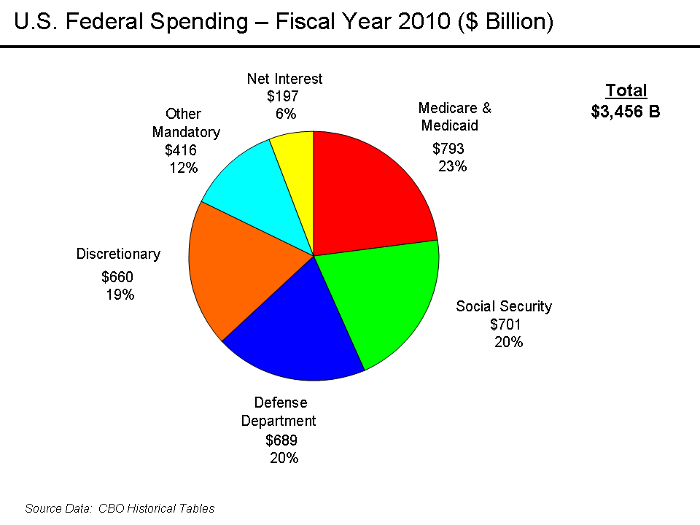 A balanced budget amendment is silly; it won’t fix anything because runaway spending is simply taken off budget. That’s what happened with Social Security and Medicare. But it doesn’t matter. I doubt enough states will call for this convention. And while we’re waiting, the Texas Eagle Forum and Phyllis Schlafly disciples will have another dumb cause to rabble rouse over. Visit http://ericbrown.com/do-projects-matter-for-it.htm for a recent article I wrote on projects in IT. Projects don’t well-explain IT’s value to the business, and it’s getting worse. Work that is best organized as a classical (waterfall) project may not be valuable to your business. If you can’t express the project as an agile project, you’re probably doing something either quite complex or really vanilla. Either way, it’s not where IT is going. Posted on June 18, 2011 June 9, 2012 Categories TechnologyLeave a comment on Do projects matter for IT? 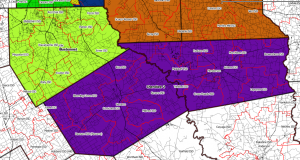 Circle 10 Council, the Boy Scout council for the Dallas, TX area, is realigning its districts. The council thinks it hasn’t been done for at least 30 years. It’s time! As a former District Commissioner for the White Rock District, I think this makes a ton of sense. The districts are too different in resources, members, and geography, and they sometimes pointlessly separate common communities. The proposal helps a lot. So far Circle 10 has not released maps. I needed to figure out some mapmaking tools for my doctoral work anyway, so I thought I would make the maps myself. 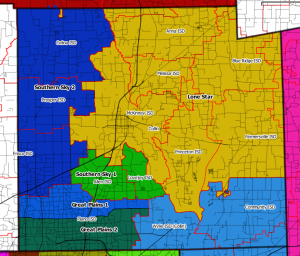 So I present to you Circle 10 Council’s new districts! IMPORTANT: I am doing this on my own. This was not requested by the council. Also, the guidance I found wasn’t always fully precise, so I had to interpret in some areas. 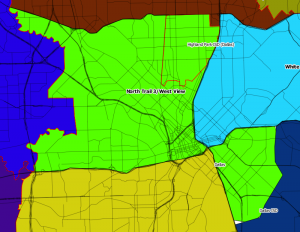 Dallas ISD north of Northwest Highway, including Dallas ISD portions that were part of North District. 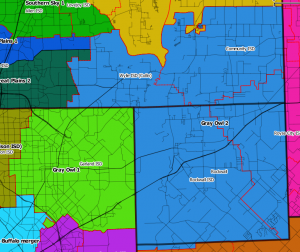 North becomes only Carrollton-Farmers Branch ISD. 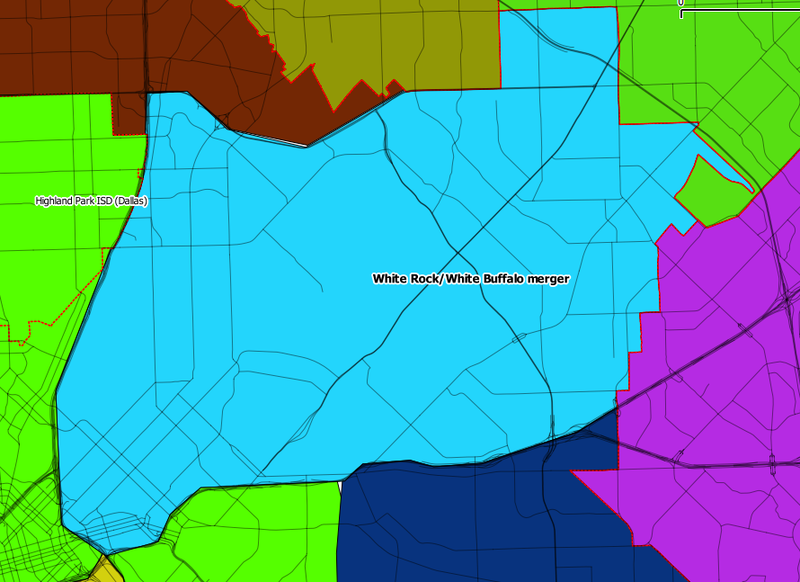 I always thought White Buffalo and White Rock should be combined. Both districts have more in common than other adjacent areas. Also, White Buffalo’s few traditional units didn’t make sense in a sea of program units. 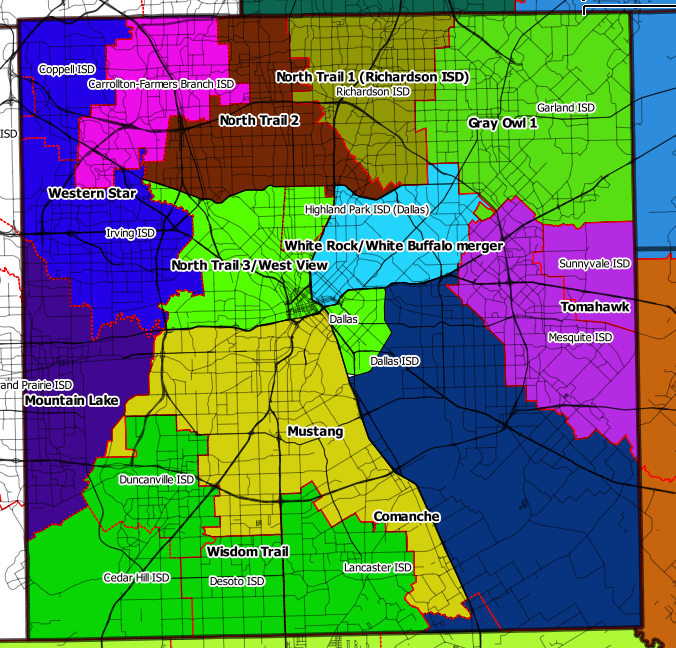 Rockwall County and Wylie and Communities ISDs. I think it also includes Royse City ISD, but Circle 10’s guidance wasn’t clear. 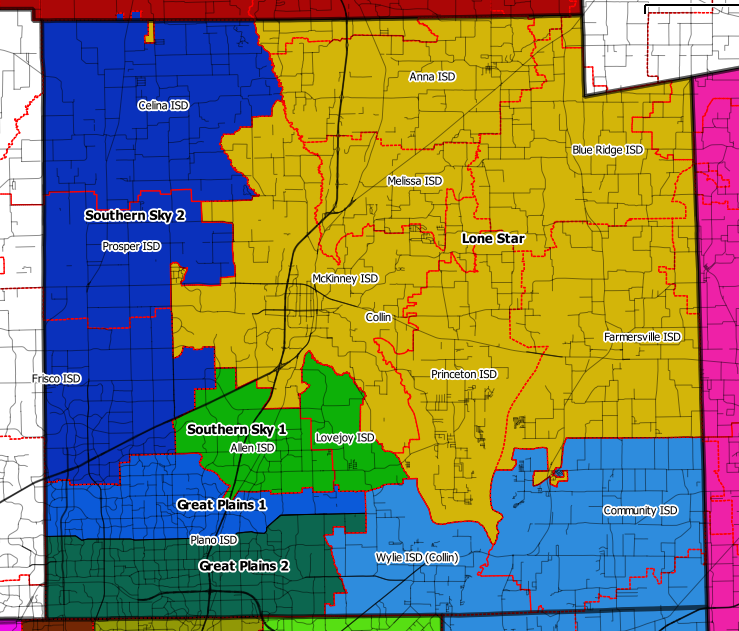 Great Plains (Plano ISD) divided into 2 districts along Parker Road. Southern Sky gets split. 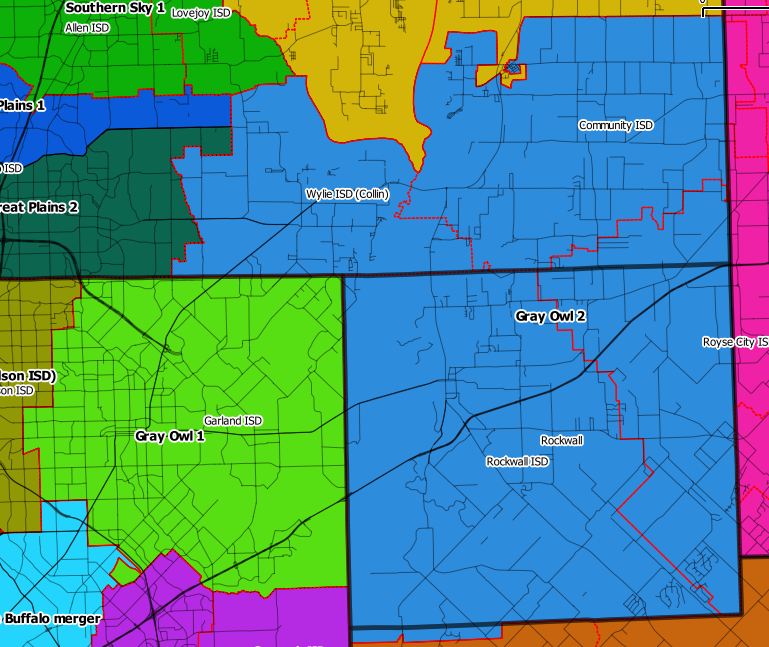 Southern Sky 1 is Allen ISD and Lovejoy ISD. Southern Sky 2 is Frisco, Celina, and Prosper ISDs. That’s Gray Owl 2 on the bottom right. I think Lone Star is the remainder of Collin County? 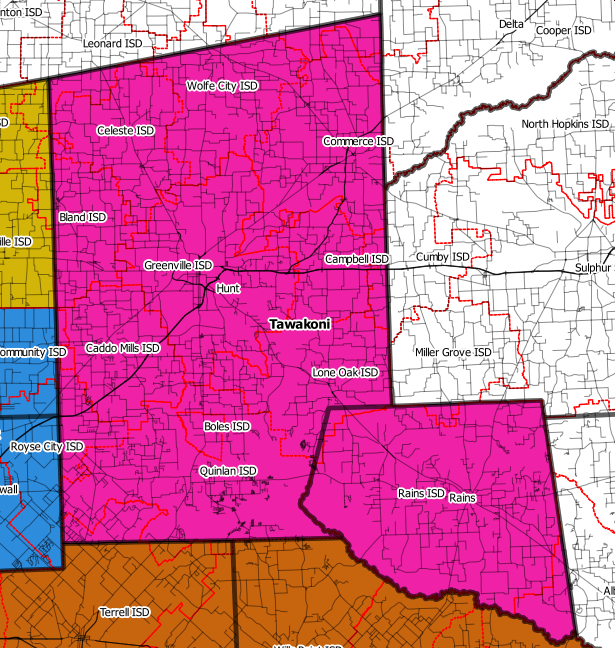 It includes Grayson County, TX and Bryan County, OK. I recently saw a Circle 10 billboard on southbound US 75 just north of the Red River. 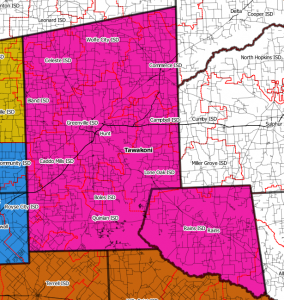 This is Hunt and Rains Counties. Not sure this is even changed. I was in Pack 376 in Van, TX for a few years. 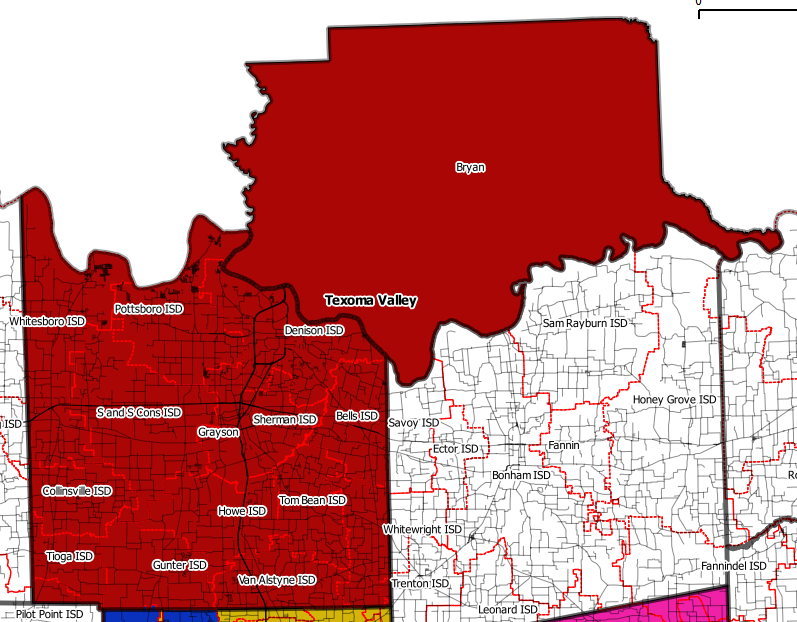 Bluebonnet is Ellis County, and Cherokee Part 2 is Navarro and Henderson Counties. 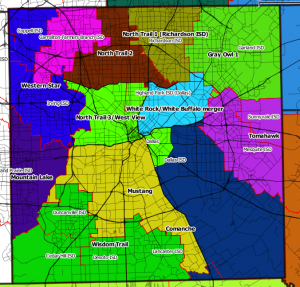 Park Cities area, West View District, and Fair Park area are combined. I like that Scouts from the poorest parts of town will be able to share resources with the wealthiest part of the council. I am glad Circle 10 is doing this. I hope everything goes smoothly and that each district’s volunteer leaders take this with a positive attitude. It’s for the better of Scouting in the east half of DFW.